We haven’t met for almost ONE YEAR! Around 7 years back, I saw her first sitting next to my chair in chemistry class at coaching centre. She was amazingly attractive and polite but little reserve, not liking to talk unimportant. I was also being quieter and disciplined girl, she had ever seen. Being sophisticated for more than a month, we took out faked masks and became REAL FRIENDS. From all of sudden hourly calls to minute text, we were bound in the countless attachment. I adore her and she adores me. We have been always like those good friends who no matter what happen shares the daily talks, every hour. On the exciting birthdays, we always come up with some mind boggling ideas for the party celebration. 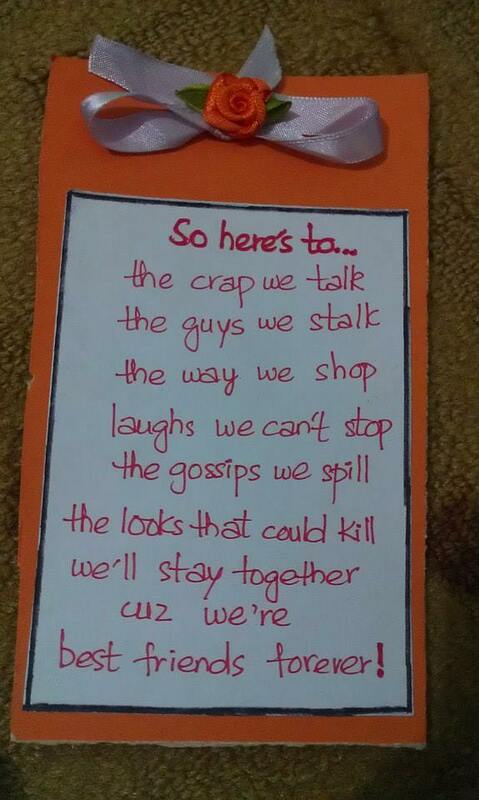 Those cute handmade cards, pictures and customized things are always so dear to me. She is a friend, with whom i can cry and laugh simultaneously. No No, don’t think I am mad LOL. This is another phase of a strong relation, where you feel comfortable with a friend, family or companion. Lucky are those who are blessed with generous relations. I do complain her and she complains me. 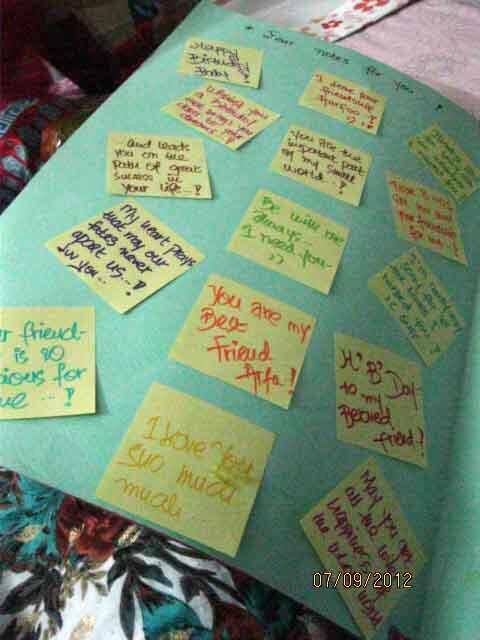 But the care and share emotions we maintained in our friendship is way above than complaining. Now, we don’t talk hourly nor weekly but we still share the thoughts and listen to each other. She is still the one, whom I can message and disturb. She is still the one whom I can show my shopping. She is the still that girl whom I can tell those unspoken words. She is still that KINZA whom I saw her back 7 years ago. I miss her every day and She misses me too. Another beautiful soul has been caught by evil eye of the society and became a victim of Karachi brutal killings, resulting Pakistan suffers again. 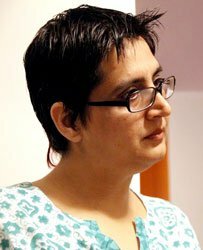 SABEEN MEHMUD, a social activist and a generous-hearted personality, was shot dead after attending seminar on baloch issue. Pakistan is truly blessed with optimistic souls like sabeen, who love devoting their lives to voiceless and vulnerable. Sabeen Mehmud was the director of The Second Floor, commonly known as T2F. Her countless efforts will always be highlighted. She was a voice to many. Sabeen reminded the nation that rights, liberties are the beacon of liberation. She fought for human rights throughout her life and sets a prominent example. The tragic unjust death of Sabeen will not go waste. Good work will prosper and her countless efforts will make her dreams come true. . A fearless, humble soul will remain in the hearts forever. I just finished “And the Mountains Echoed”. 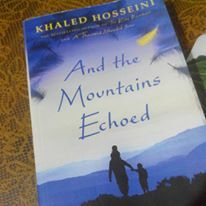 Another master piece by Khaled Hosseni, who is an Afghan-American writer and it is his third book after Kite Runner and The thousand Splendid Suns. The book has gained much popularity in short span of time, this is a superstar storyteller and Khaled once again proved his spectacular writing skills in the novel. I say it with no doubts. “And the Mountains Echoed” begins with a fable that a father, named Saboor, tells his children Abdullah and Pari. In the story, the gaint takes away children of the village and disappears. The residing farmer of the village forced to sacrifice their one favorite child to div, but the farmer tracked div and found his child in happy mode in a garden with happy faces. The farmer decided to leave after seeing his child in a better environment and as a gesture of kindness, the giant gave him some portion of land, which will make him forget his son and that will overcome his poverty. Khaled Hosseni has connected this story tale with family of Saboor from Shahdabagh village. The book is about inseparable love between Pari and Abdullah, the bond between siblings is pure and filled with emotion, tenderness and affection. The story is how the relation of Pari and Abdullah gets disconnected for many years, how their family suffers, how their lives move from countries to countries and how their other family connections reunite their relation at the end. It is beautiful simple story that captures the essence of the readers. One always becomes curious to know what happen next with Pari and Abdullah. There is involvement of many other characters, which are interesting and has a connection with each other. It has many words from French. To be honest, I found some of the parts of book little confusing but over all this is an amazing story, not to be missed out from your collection of favorite books. The book has some letters from Pari’s uncle,Nabi to Pari, which tells another interesting story. I really find them engaging as it reveals the story that happened years back. As a storyteller, he draws attention toward every character in detail and comes up with truth about human experience. I suggest all my followers to read the book and I assure you will definitely love it. When we caught ourselves in any challenging situation, we turn to ALMIGHTY for forgiveness, help and mercy. After that, the helpless face like mine sits nearly to my mother, look in to her eyes and starts seeking for some advice or even a talk to make myself feel better. I call my mother as “Ammi” and i feel this word is empowered with love, emotions and unsaid feelings. Yes I am kind of person who shares stories of her friends with mother, she listens with interest and always feels concerned. There is no one like a mother. She understands when my voice is low, when i am in no mood to work and when i am happy at things. She is a magician to me. In the same manner, when she shows a fake smile on her super shining face, my eyes catch her pained expressions that she gives while cooking, talking, relaxing and I ask her about the pain she is going through. Most of the time, my mother misses my grand mother. No doubt, my grand mother was such a loving and simple woman to be missed at every moment of life. Sometimes, in the mid of nights and between my sleep, I wish to have a box or something that keep moments of happiness of my family for lifetime. Recently, when we attended my cousins mehndi(henna) ceremony, all the boys performed dance on music and room was bursting with loud screams, laughs and giggles. I have captured my mother super shining smile on energetic dance performance. And it was out-of-this-world moment to me, when she smiles. Truly saying, guys hit the floor that night and danced stupidly. Telling some awe-inspiring qualities of Ammi Jaan, She never complains of anything to my father, brother and even to my sisters and I. She does not get much influenced by the desirous attractions of this happening world. She wishes to visit again and again to Makkah and Medinah where she finds her soul complete. She loves feeding to poor women and children, she quits her day sleep to give food to needy who knocks our gate and she loves spending time and listening to them. She does not express her feelings in front of anyone but when we are together talking to only her and about her, Ammi feels high on the sky. My mother is an insipiration to me and my sisters. Yes, she is a worrisome mom who gets worried at every single nook of the day. Her care and love is too precious to be compared with anything on this world. Her genuine smile is enough for a long tiring day to pass. Her long prayers(Namaz) are so heart touching that one cannot move forward without saying Ameen. She is an inspiration for me and mt sisters. I love my ammi from the core of my heart and she loves us all with her super shining heart. Her kisses on my cheeks make my skin glowing and soul brightening. Yes, I love her that much. I hope one day, I will make her proud of me. Never let it go, the cherished moments with your parents and siblings. There is nothing like them in this entire world. Everything will leave you but not them. 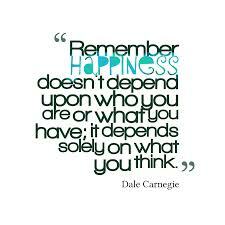 Have you ever think about words of appreciation ? I always feel so overwhelmed by the special words, yes i name them “magical words” as they do magic. It actually lifts up the conversation and expands our talking behaviors with each other. Every word that helps in encouraging the efforts are always special and they blow their magic to the other person. 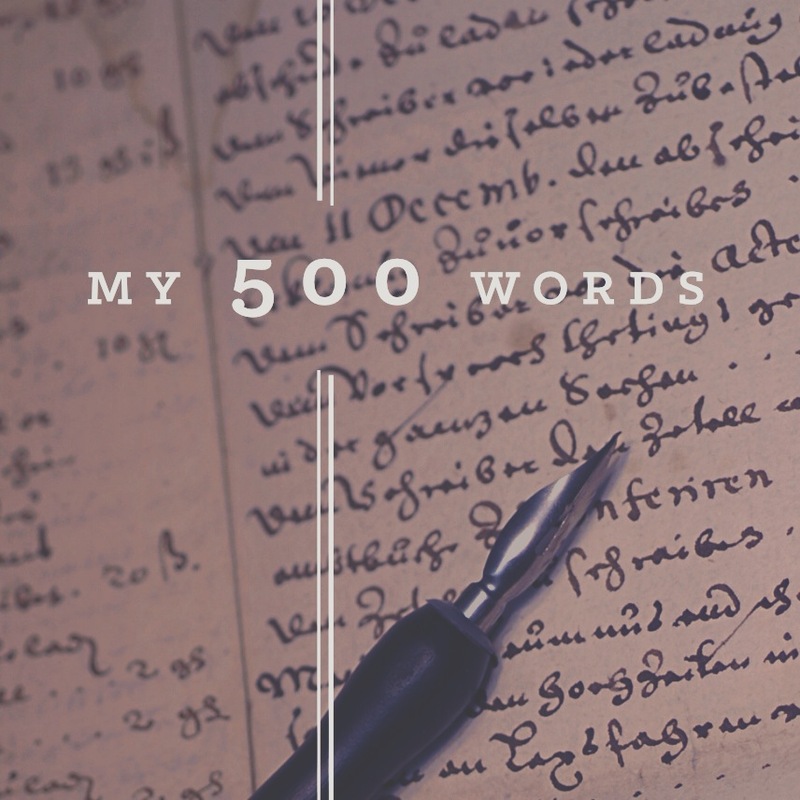 Here i write some of them and just imagine how it brings a confident smile on your face when someone says it to you on your performance or attitude. Well done you did it. Looking forward to your performances. These magical words does not only lift your mood but gives enough courage to step up in the struggling and challenging life. Saying a word does not make much difference to one’s attitude, in fact it brightens up one’s soul with gratitude. 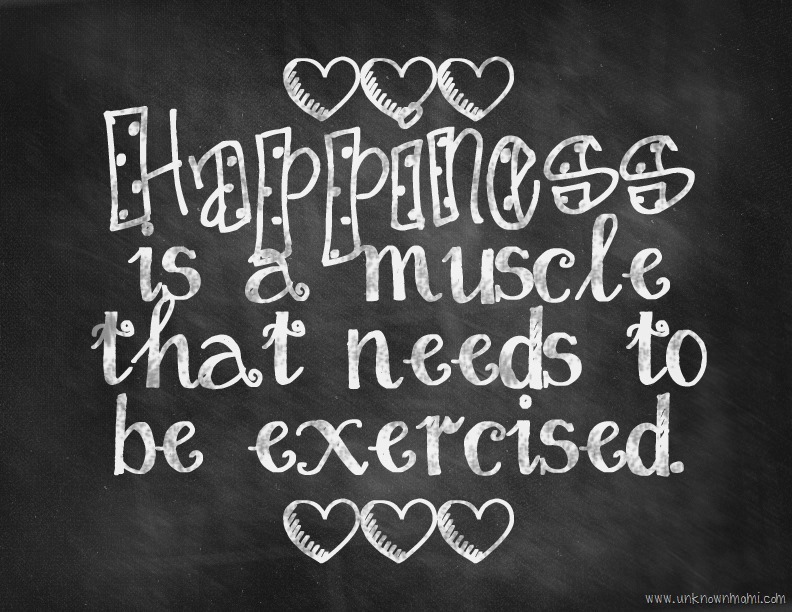 Keep motivating others with these magical words, it does magic to one’s life ! Appreciate others to get appreciated. Is a tree important in your life ? Have you ever thought about it ? We all probably answer in NO because it is not being any important source to our daily lives. The answer to this question is simply given by a little poor girl, who resides in a rural area. The girl named, bakhtawar met me on my visit to a village, with my family. Poor girl was having lunch and I was sitting next to her. We were sitting outside a hut in a summery day. As load shedding is now a daily part of Pakistanis, the electricity went off for two hours and I started talking to her about intensity of heat in these summers. The sun was so hot and sun rays was hitting earth directly. On asking about electricity and how do they sleep, in the absence of light? Bakhtawar replied with a soft smile that we sleep so well in nights and there is no disturbance at all. I was little surprised but glad to hear from her as she felt little shy in front of me. Well, she further told me that there is a neam tree in her house which has scattered leaves, thick stem and it is huge in size. The neem tree is like air-condition to them. 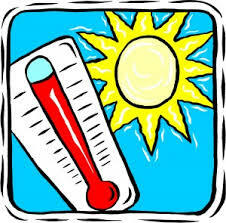 It gives breezy wind throughout the night and save them from hot weather in daylight. All of the family members and even children of the neighbors sleep in the shadow of the tree. Little girl further said that neem tree is so much beneficial for them in every weather and tree is the best part of their home and we all just love it. Her love for neem tree was so pure. By looking at her, I felt so much satisfaction and expressions of joy on her face. Then, I understand that how trees can also be so useful in fulfilling someone’s needs and of course, trees are important and are needed to be valued. Let’s come to the beauty and uses of evergreen neem tree. Neem tree is a symbol of health. Neem tree is mostly famous in India but is also found in Pakistan and other places. There are countless benefits of using neem in our lives for multiple reasons. Many other names are also given to neem as “Divine tree”. It has great significance in providing beauty treatments and yes, it must be a favorite for women all over. Hence, life is not about artificial luxuries, it is all about adaption of beautiful nature and simplicity in our lives. As I looked from the window of my car, the sight fascinated me. I have never seen such an attraction to my eyes. The big yellow flowers painted a beautiful scenery that i have never seen before in my life. Yes I am talking about sunflowers, that are grow for beauty and known for beauty. 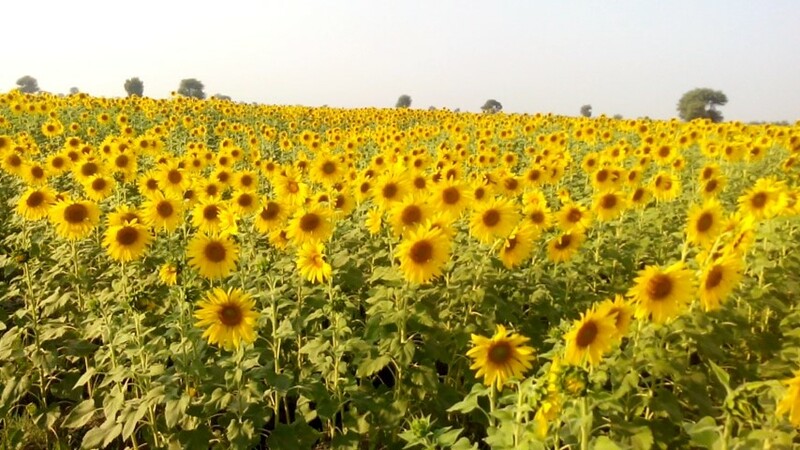 As i entered in the field of sunflowers, i was amazed to see those tall and bright colored flowers, which are big in size and are heavy in weight. Sunflowers have big, daisy like flower faces of bright yellow petals and brown centers that ripen into heavy heads filled with seeds. These flowers are to provide seeds that are used in cooking oil, feeding birds, healthy foods and many more. The special features of sunflowers is that it attracts birds and butterflies. I also some bees and birds in the field. The yellow bed of sunflowers gave a mesmerizing sight and i loved being there. 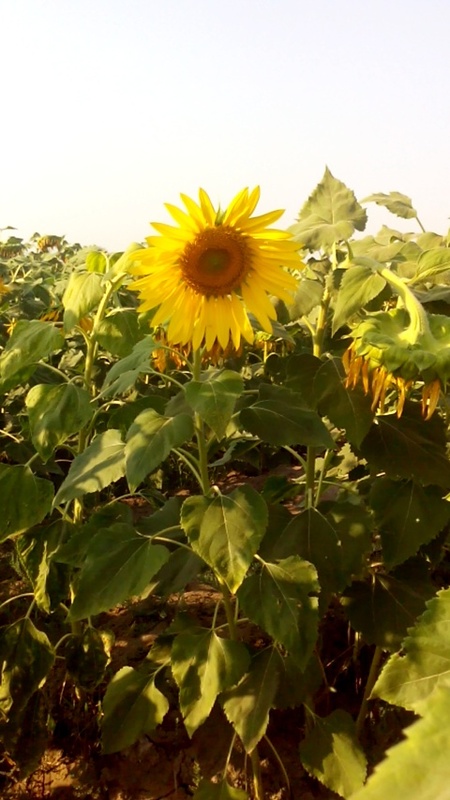 All the sunflowers were looking towards the sun as it is the basic need of flowers. That scene was so appealing. I was in the fields for two hours and i wanted to be there till evening to capture the scene at sunset. Have look at the beauty of this nature. Thankful for a blessing.